We have hiring event this weekend(17th Nov 18) at our Sasken Hyderabad. Interested candidates, please share updated resume with below. Expertise in Data Discovery & Visualization. The Lead Software Engineer with expertise and experience in designing and developing applications including new developments, enhancements, maintenance and support. You have good knowledge of ETL. You have Java/J2EE, Object Oriented design and development skills. You know Job Scheduling Technologies like Autosys or Crontab. You have worked in Agile methodologies or iterative development processes. You have Experienced in reverse engineering and understanding existing applications. You have Experienced in Core Java, Servlets/JSP/EJB, Spring. You know Web Services (SOAP, REST). You know Multithreading and Java design patterns. You know SQL proficiency (Oracle experience preferred). You know Unix and Shell scripting basics. Phone: +91 80 4012 6000, 6691 6000. PwC hiring for Database Testing experts. Hands on experience and have strong knowledge in SQL Queries / PLSQL/ SQL Developer. Good in Database Testing with PL SQL programming language. Knowledge of Test/Defect Management tools e.g. QC, Jira etc. Banking (Specifically Accounting) would be added advantage. SLA Consultants India is looking for a Software Test Engineer (Manual). This individual will be involved in the manual testing of web-based application and Web Services. Knowledge of Automation using UFT/Selenium. Have a good understanding of Software testing lifecycle. Experience working on commercial software development projects in an international team environment of developers, testers, product managers and architects. Experience in testing both manual and automated esp. in space of Control systems. A deep understanding of the testing of complex product projects that include hardware and software development. Ability to maintain traceability with requirements and thoroughly test complete system. A university degree in Computer Sciences, Engineering or a comparable qualification. 6+ years of professional experience in a commercial environment developing scalable high-performing solutions. Experience with C# is mandatory. Experience with WPF is preferred. A deep understanding in developing and testing of the complex product. projects that include hardware and software development. Walk-in Interview on 17th November from 9 AM onwards. Knowledge of Agile and JIRA (Primary). Knowledge of Selenium /Appium (Secondary). We are looking for a Java Full Stack developer who would be responsible for building intuitive web applications. 1+ years of experience in building large scale applications or products. Expert in JAVA, MVC framework, Object Oriented design for the large/complex product. Exposure to Mobile development (Android / IOS) is a plus. Experienced in AWS – EC2, RDS, SES, S3. Expert in writing complex SQL queries. Worked on any no SQL DB like MongoDB. Good in ReactJs/Angular js Framework. We have hiring event this weekend(17th Nov 18) at our Sasken Hyderabad. Interested candidates, please share the updated resume with below. Aasken Communication Tech Ltd., 1st floor, Building# 2B, Raheja MindSpace, Madhapur, Hyderabad 500081, Telangana. PrimeSoft is seeking a test automation engineer with experience in automation testing using tools like Selenium, Appium, Protractor, etc. with the solid understanding of SDLC process, test automation concepts, automation tools, and frameworks and scripting languages. Hands-on experience doing Automation testing of web applications using Selenium (Java) (Web Driver & Grid), Appium, Protractor, WebDriver IO, etc. Hands on experience in automating Web and Mobile based applications. Experience in Jenkins, Maven, Git Repository along with TestNG. Knowledge in Agile or Scrum methodologies. PrimeSoft is seeking Java Developers using Java, J2EE, Spring, and Hibernate to develop web-based applications for enterprises; accessed from personal computers and mobile devices. Should have at least 2 years of experience in developing web-based applications Java, Spring, Hibernate. Extensive knowledge in Object Oriented Programming and Design. Extensive knowledge of Java, Spring, Spring Boot, Spring MVC. Extensive knowledge in ORM frameworks such as Hibernate, MyBatis. Extensive knowledge in design, creation and consumption of RESTful API. Extensive knowledge in automated unit testing using JUnit, EasyMock, PowerMock, Mockito. Knowledge of Angular JS, HTML5, CSS3. Should have worked in an Agile environment. 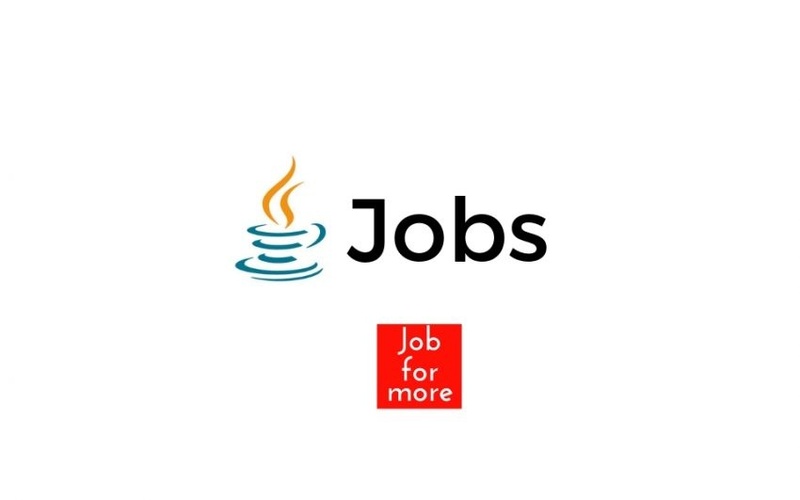 Should have 2 yrs experience in Java, J2EE technologies. Good Knowledge of ORM tools like Hibernate. Share your profiles to [email protected] along with your availability. Strong experience in Spring is mandatory. Hibernate experience is the advantage. Candidates from eCommerce domain preferred. Excellent working experience on Core Java, Spring Framework & Spring MVC, Spring boot, Web services. Must have hands-on experience of Eclipse IDE. Must have strong knowledge about Core Java, Spring and Spring MVC framework, Spring Data, Spring Core, Hibernate, JPA, JMS MQ/Spring JMS. Should have knowledge about Spring Webflow framework and nice to have worked on an implementation that uses Spring Webflow. Should be aware of the design patterns and be able to apply the knowledge. Direct Walk-in For Java Developer (Spring / Hibernate ). Documents existing set of extract applications. Provides the BAU support for existing extracts. Multithreading, thread pool management, file management and design pattern implementations in Core Java. Spring Annotations, Spring RESTful annotations and RESTful service implementations, Spring Batch and Spring Boot. 4. XML and JSON parsers. DOM/Jackson. 17th H Main Road, Koramangala 6th Block, Bangalore. We have an urgent requirement of Java Developer for Persistent Systems based at Pune. 6+ years of experience in Java-J2EE. Good Knowledge in databases preferably DB2/Oracle. Members will have the opportunity to work in multiple industries such as Oil & Gas, Retail, Manufacturing, Transport, Logistics, Government and Healthcare. Candidate should have hands- on experience in Java Stack with programming experience in Core Java, Spring, Hibernate and Restful API. Candidate should possess the ability to communicate clearly across team in diverse geographies.